In an announcement that may have come as a shock to many Canadian online gambling participants, Skrill, a noted online payment processing service (also known as an e-wallet) that was used extensively by those who played at online casinos, made the decision to pull itself out of the Canadian market and presumably concentrate its efforts elsewhere. What this means is that they are not going to process any deposits or withdrawals for Canadian gamblers. The merchants who are impacted by this have been affected greatly, as have those with accounts in online casinos that were opened up through Skrill. In fact, no more gambling-related transactions will be taking place after January 2, and no more payments are going to be made through Skrill to online casino customers after January 31. And frankly, good luck dealing with them if you miss that deadline. It's always a blow when an electronic wallet ceases to be an option. That is because there is a healthy contingent of customers who depend upon that method as a means of shielding financial, personal and/or banking details from the online casino they are doing business with, if for no other reason than just for privacy's sake. Therefore, Canadians who are interested in playing in online casino are left with fewer choices, just as they have been with the pullout of Playtech-powered casinos, which was also recently announced. What could be behind this move? Well, in an email that was sent to an online gambling database of customers, Skrill (which has re-branded itself from its former name of MoneyBookers) was as nebulous as possible, mentioning only that it came after "having reviewed its operations." They invited present online gambling-related customers to continue to use its service in any non-gambling fashion, which we assume means that the accounts won't be frozen. Skrill has merchants all over the world that accept it as a payment medium. 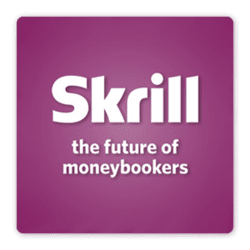 Earlier this year - in August, to be exact - Skrill was acquired by a company named CVC Capital Partners, which took a 75% share. At that time there was no inkling that there would be a move to pull out of Canadian online gambling. There is no law against citizens from Canada playing at online casinos that are located offshore, although there is a certain "gray area" in that banks located in Canada generally make it a policy to avoid transactions related to online gambling, particularly if it does not involve casinos that are run by the government. Since Skrill accounts have to be opened with the backing of a bank account, this brings financial institutions into the picture. However, something happening in another country may have some impact. In New Jersey, online gambling was recently launched as a legalized and regulated industry, although the restrictions on licensing are very tight. Skrill has just received licensing and approval from the Division of Gaming Enforcement in New Jersey to conduct online gambling transactions. In other words, citizens who are in the state can open up accounts with licensed casino operators through Skrill. This is significant, in that some of the banks, including Wells Fargo and Bank of America, has declined to become involved in these kinds of transactions, fearing chargebacks and, if you will, blowback, among other things. That makes Skrill a more viable alternative than might otherwise be the case, and helps the effort to become more firmly established in the United States market, where they are not considered strong in comparison with, say, PayPal. With licensing very much at the discretion of the state, and very tight controls in place, Skrill may fear that its involvement with Canadian gaming as it relates to the offshore online casinos that will, presumably be in competition with the New Jersey casino licensees, not to mention the connection to sports betting that creates, may have been problematic enough to affect their status as time progresses. Or such a pullout may have been a prerequisite for licensure, as set forth by New Jersey, as long as business was wrapped up in a fashion that was "tidy" enough. In either case, Skrill is out, and we suppose many Canadians will be out of Skrill too. They'll continue to play online casino games of their choice and gets thrills and chills, but no Skrill. get it?